Each year, thousands of young women participate at the local, state and national levels, culminating in the selection of 51 national finalists who compete for the title of Miss America. One of them could be you! 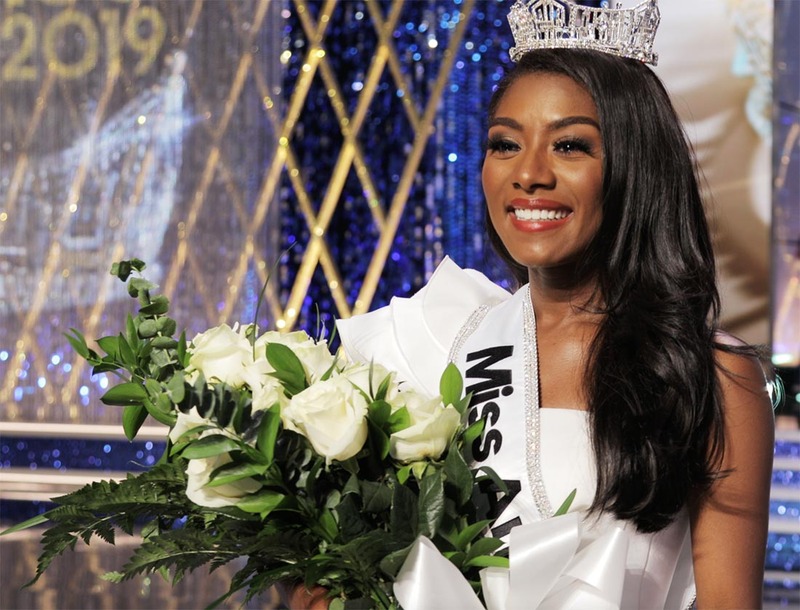 To become Miss America, a contestant must first enter and win a local competition, and then compete to represent her state—a process requiring hard work, talent and personal commitment. As a state titleholder, a contestant may only compete once at the national Miss America Competition. Miss Alaska Scholarship Foundation, Inc.
Miss Arizona Scholarship Foundation, Inc.
Miss Arkansas Scholarship Pageant, Inc.
Miss District of Columbia Scholarship Organization, Inc.
Miss Florida Scholarship Pageant, Inc.
Miss Idaho Scholarship Program, Inc.
Miss Illinois Scholarship Organization, Inc.
Miss Indiana Scholarship Pageant, Inc.
Miss Kentucky Scholarship Organization, Inc.
Miss Maine Scholarship Program, Inc.
Miss Massachusetts Scholarship Foundation, Inc.
Miss Michigan Scholarship Pageant, Inc.
Miss Nebraska Scholarship Program, Inc.
Miss New Hampshire Scholarship Program, Inc.
Miss North Carolina Pageant Organization, Inc.
Miss Ohio Scholarship Program, Inc.
Miss Oklahoma Scholarship Pageant, Inc.
Miss Oregon Scholarship Program, Inc.
Miss PA Scholarship Foundation Inc.
Miss Rhode Island Scholarship Program, Inc.
Miss Tennessee Scholarship Competition, Inc.
Miss Vermont Scholarship Organization, Inc.
Miss Wisconsin Scholarship Foundation, Inc.
Miss Wyoming Scholarship Foundation, Inc.